Fairhaven, MA and Carlsbad, CA (April 13, 2012) – Acushnet Company and Callaway Golf Company jointly announced today that they have reached a settlement of all pending litigation and disputes, including disputes beyond the golf ball suits between the parties. No money changed hands, but under the terms of the agreement, each company will have specified rights to make golf ball and club products under patents owned by the other. Details of the settlement are confidential. On the surface this doesn’t look like much but in fact it signaled the end of a seven year legal scrum of much sound and fury. In the end there aren’t any significant changes in the golf ball business. Acushnet is still number one by a wide margin and Callaway is no closer to catching them than before though probably several lawyers made a lot of money. It’s no secret the golf equipment business is only now starting to recover (bankruptcies, mergers, etc.) and for two of the industry’s largest players to be engaged in litigation that depleted shareholders’ earnings and diverted management’s focus was a colossal waste. So it’s reasonable to ask what happened. Why did this argument over golf ball patents start in the first place? We see how it finished so maybe a timeline reviewing the significant events would be instructive. 2000 – Acushnet Golf revolutionizes the ball business with the multi-layer urethane cover Titleist Pro V1 that almost over night becomes the most played ball on the PGA Tour and number one selling ball by a wide margin. Callaway enters the ball market for the first time. 2001 and 2003 – Spalding Golf, at the time the number two ball company, is issued four patents covering multi-layer golf ball manufacturing. January 2006 – Seven U.S. Patent and Trademark Office examiners agree the Spalding patents are invalid. This ruling is prior to Callaway’s first law suit against Acushnet. February 2006 – Callaway sues Acushnet saying the market leading Titleist Pro V1 infringes on the Spalding patents. During the trial the judge rules Acushnet may not reveal the four Spalding patents are invalid according to the U.S. Patent & Trademark Office. The case is decided in December 2007 when a jury (still not knowing about the invalid patents) says Acushnet is at fault but Acushnet wins the right to have a new trial. November 2008 – A U.S. District Court grants Callaway an injunction and judgment causing Acushnet to stop manufacturing the then current version of the Titleist Pro V1. Acushnet complies by pulling Pro V1s off golf shop shelves and rushes a version to market that does not violate the patents. 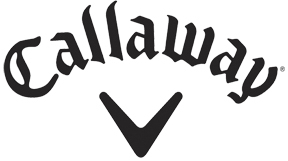 August 2009 – A U.S. Court of Appeals three judge panel grants Acushnet a new trial and also overturns the 2008 judgment and injunction favoring Callaway that prohibited manufacture and sale of the Pro V1 ball. Specifically the ruling says Acushnet can use as part of its defense the 2006 Patent Office finding the Spalding patents are invalid. March 2010 – In the second trial in U.S. District Court Delaware, a jury decides Callaway has no case against Acushnet for patent infringement and the four patents are invalid. March 2011 – the Board of Patent Appeals again says the Callaway patents are invalid but Callaway says they will appeal. April 2011 – The U.S. District Court for the District of Delaware in a final judgment rules for Acushnet and against Callaway saying there was no patent infringement because the Board of Patent Appeals had reiterated a month earlier the four patents were invalid. Further the judge officially closes the case, saying Callaway would not be allowed a new trial though an appeal is possible by Callaway in the Federal Circuit Court. April 2012 – Acushnet and Callaway come to an agreement allowing each to make balls and clubs under the other’s patents without any monetary settlement being paid by either company. So, in fact, this resource wasting episode is over and Callaway will have to compete with Acushnet’s Titleist Pro V1 the old fashion way…with a better product.